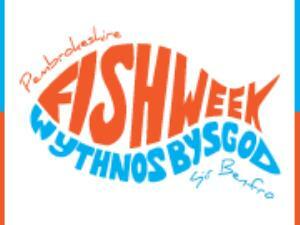 One of Wales' most vibrant and unique festivals, the Pembrokeshire Fish Week Festival, will be held between Saturday 22nd and Sunday 30th June. Due to its popularity and success, Pembrokeshire Fish Week has grown from a small fishing competition in 1999 to become a countywide, multisite week-long festival and has firmly established itself on the national events calendar, with well over 250 events throughout the week. Apart from increased menus, theme nights, gourmet evenings, cultural events and children’s activities, there are also major cookery events through celebrity chef evenings and demonstrations at various venues alongside major angling competitions, beach activities and raising awareness of environmental issues through organised events. The festival has been described as an excellent example of giving a sense of place and experience where both the visitors and indigenous population can sample the culture, tradition, food and hospitality of the region as well as enjoy the outdoor activities and natural beauty of the county.